Season 3, Episode 10, Dr. Bubbs interviews expert Dr. Greg Wells PhD, renowned sport scientist, author, broadcaster and speaker. In this episode, Dr. Wells talks about the biggest lessons learned – through success or failure – during his time in elite sport, the importance of fundamentals and consistency in achieving excellence. 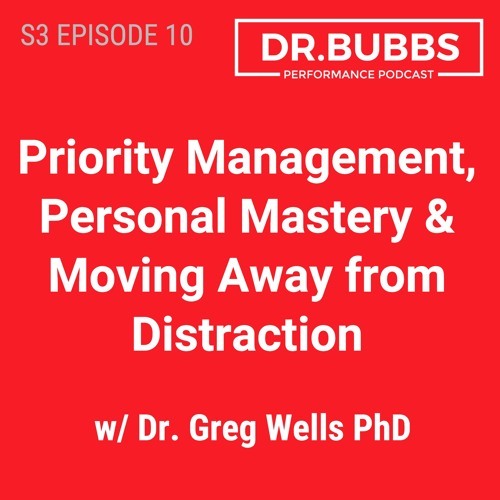 He gives pointers on how to go from distraction to focus, the difference between time management and priority management, the pitfalls of “busy-ness” in the workplace, the path to personal mastery, and much more. Don’t miss this episode!